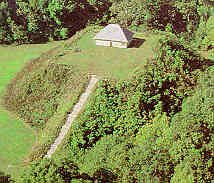 You Are Listening To "Stars Fell On Alabama"
Mound State Monument, on Black Warrior Lake, protects and preserves forty Indian temple mounds which rise from a bluff overlooking the Lake. Black Warrior Lake has a surface area of 7,800 acres and is 77 miles long. 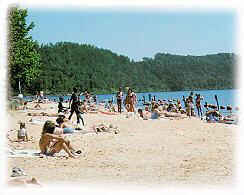 It is a very popular recreational spot with hiking, swimming and primitive camping. Just a nice little place to drive by on our way south. The best approach to the Capitol Building is from the beautiful Court Square Fountain. 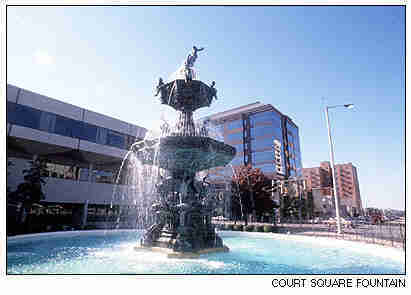 The fountain was originally built atop an artesian well in 1885. 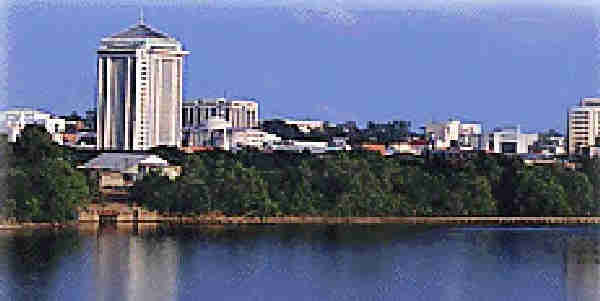 It marks the foot of "Goat Hill," the unofficial nickname for the Capitol area. 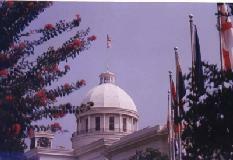 This is the Capitol Building in Montgomery. As early as 1912, efforts were being made to embellish the area beneath the Capitol dome with a series of large murals depicting incidents in Alabama history. Not until 1926, was the work actually begun. Here are just two of the eight murals. This depicts the Secession and Confederancy Inauguration of Jefferson Davis in 1861. In May, 1861, the Confederate seat of government was moved to Richmond, Virginia. This shows the surrender of William Weatherford, the hostile Creek Indian leader, to General Andrew Jackson in 1814. 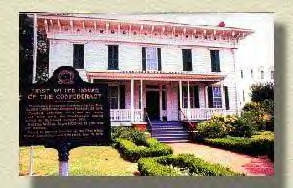 By the turn of the 20th century, Alabama was over 80 years old and had accumulated significant amounts of historical material. 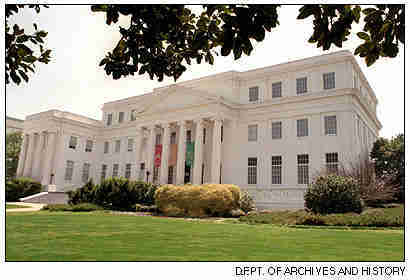 The Archives Building in downtown Montgomery, was built to house this material and is the first agency of this kind in the nation. This is a face that will be familiar to our "older" members. 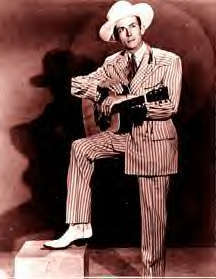 This is Hiram "Hank" Williams, one of the most successful country singers ever born. Hank was born in Montgomery on September 17, 1923. He was one of country music's most tragic stars. He had taught himself to play the guitar by age 8. Hank wrote most of the songs he sang, and is probably best known for "Your Cheatin' Heart" and "Cold, Cold Heart." He started out playing in bars in Alabama and throughout the South and went on to great success at the Grand Ole Opry in Nashville, TN. 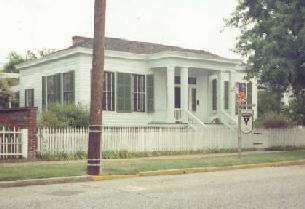 This is the Hank Williams Museum in Montgomery. It contains much of his memorabilia including the Cadillac in which he died on January 1, 1953 at age 29. Hank was on his way to a play date in Canton, OH and was sleeping in the back seat of the car when a heart attack took him suddenly. He is buried in Montgomery. 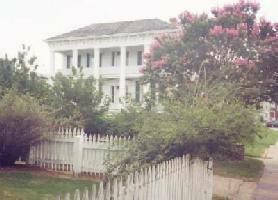 This is The Winter Place, a decaying antebellum mansion which dates from the 1850's. 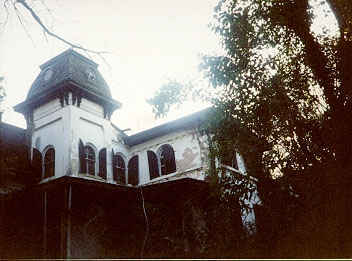 It is said to be inhabited by ghosts and many memories. The orginal design might be called Italiante-Second Empire. 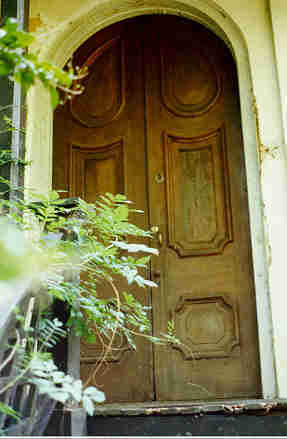 Famous writers, artists and actors entered through these doors attending countless parties and gala festivities. What a shame to see it deteriorating like this. 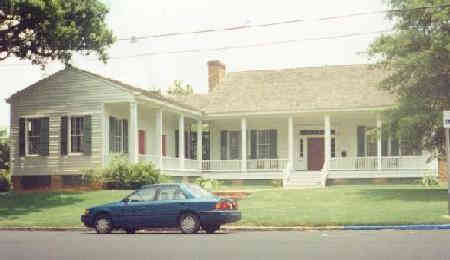 Murphy House stands as a visual symbol of antebellum living in Montgomery. 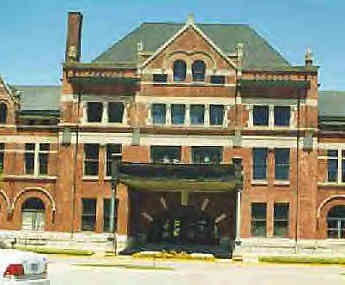 It was built in 1851 by John Murphy, a successful cotton merchant. Today, it is the home of the Montgomery Water and Sewer Board. President and Mrs. Jefferson Davis lived in this house from February to May, 1861, when the Confederate Capital was moved from Montgomery to Richmond, VA. The house contains period furnishings and many of Davis's personal belongings. 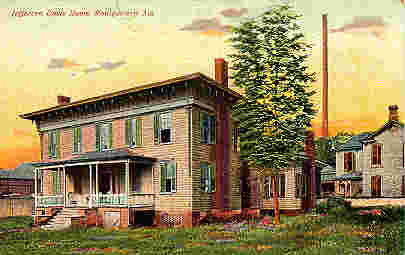 This old postcard depicts the home of Jefferson Davis. 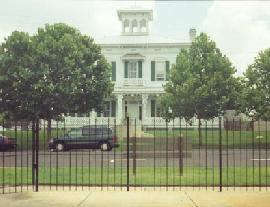 We musn't forget to drive by the Governor's Mansion. 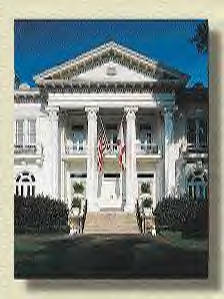 This has been the home of the Governors of Alabama since the 1950's. 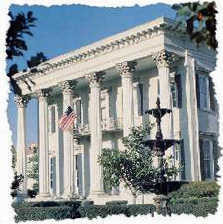 The Mansion was built in 1907 and is an excellent example of Southern Colonial architecture. It is a collection of over 40 restored structures depicting life here in the 19th and early 20th centuries. I see there's a tour about to leave. 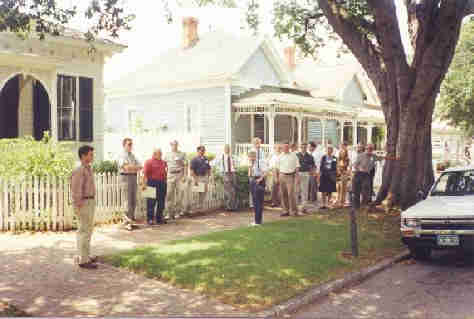 Let's join them, and have a look at some of these beautiful houses. Here is a prime example of the new and the old. 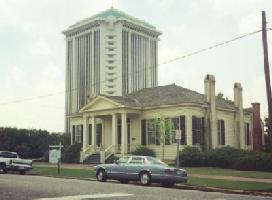 Directly behind this old house is the headquarters of America South, the tallest building in Montgomery. 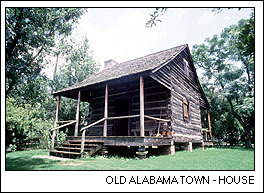 This old log cabin was one of the original structures included in Old Alabama Town. 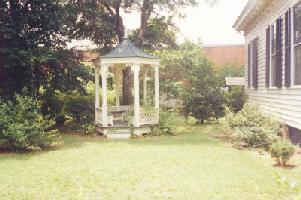 Wouldn't it be nice to stop here in the gazebo for a nice, cold glass of lemonade? We hope you enjoyed your tour of Old Alabama Town. We'll say goodbye to Montgomery and head wherever the Chevy takes us. If you'll click on the license plate, we'll all know where we've gone.